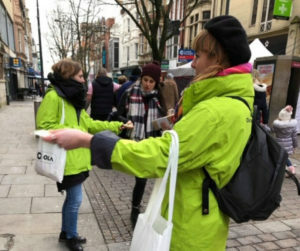 Our clients at Ola stretched themselves beyond the streets of Cardiff and headed to Newport for an on the ground promotional shift. Promoters were busy on the ground from 8am creating brand awareness in the city for these newly introduced Uber rivals. Promoters could be found handing out a variety of Ola branded merchandise, from sustainable and environmentally friendly, Ola branded tote bags for Christmas shoppers, to Ola branded shortbread cookies, after all, what’s Christmas without a couple of sweet treats? 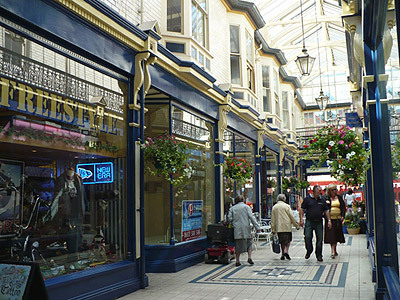 Did you catch any of our promoters in Newport? Our sister company Street Food Warehouse has been hard at work ready for the arrival of 2019 where we’re hoping for a bigger and better year for street food. 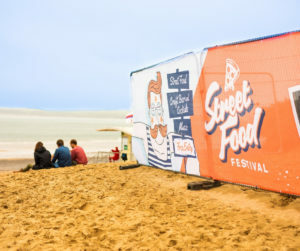 December saw the confirmation of street food vendors for another two festivals in Devon and Sussex! We’ve got our fingers and toes crossed here at River & Bear for another summer of sunshine and good food! Keep your eyes peeled for brand new information on the Street Food Warehouse social media! At the end of December, we bid farewell to our PR & Campaign Coordinator, Georgina Dransfield. Georgina worked closely with charity portal, 1Step2Be and the newly launched, PB Performance Gym and was responsible for some of our most recent campaigns, including the launch party & open day of PB Performance – which you can read about here. Not forgetting to mention, Georgina was the brilliant author behind some of your favourite River & Bear blogs! We wish her the best of luck in her career endeavours! We’re very happy to welcome Natalie Vaughan to the River & Bear team! 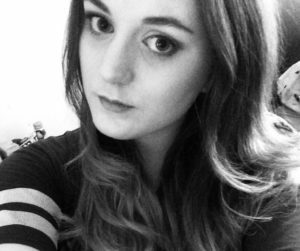 Natalie is a recent graduate of Swansea University, graduating in communications, media practice and PR and has previous experience in the PR world having done numerous internships across Cardiff and Swansea. Natalie has joined the River & Bear team as a campaign coordinator, we’re excited to see what she comes up with! There’s just 16 weeks until our first Street Food Festival of 2019 but we’ve still got plenty of things to keep us busy in the mean time.. The River & Bear team have been hard at work with plenty of discussions, meetings and potential sponsorship news to come! Keep an eye on our social media for client news and Street Food Warehouse updates. If you’re looking for an experienced events management agency to help you organise and manage your event, why not get in contact with us today, give us a call or drop us an email and we can talk through your options.